Saturday April 13 10:00-4:00pm $65. By popular demand, here are circular geese, shrunk down to mini size! Geese are a perennial quilt design Flying favorite and they never go out of style! Learn to paper piece circular flying geese while you make this mini quilt. This circular motif can be constructed with up to six rounds of mini geese in any color configuration you enjoy. These mini geese are 1 1/2 inches tall. 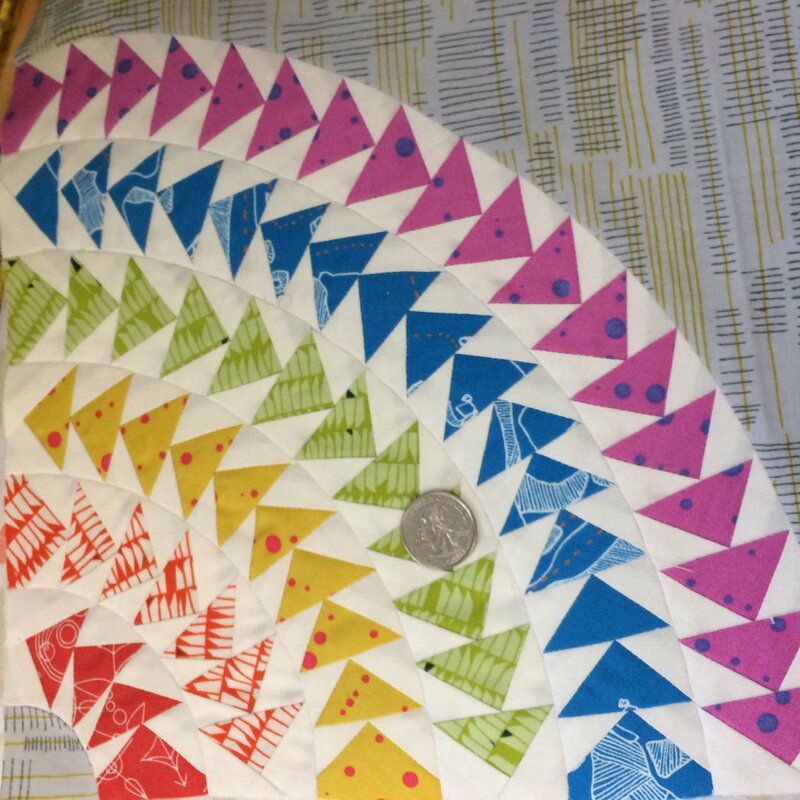 You can make a quarter circle, a whole circle, or some innovative combination using this pattern. I will provide you with patterns for circular flying geese with clockwise and counterclockwise orientations. Skill Level. This class is suitable for confident quilters from advanced beginner to experienced. Some experience with paper piecing will be helpful, but is not essential. All the techniques used will be reviewed and one-on-one assistance will be available. What to Bring. This Goosey Mini is perfect for your small cuts. It will work with Jelly Rolls, Charm Squares, or Fat Quarters. You’ll need a quarter to a half yard for your goose background, but you don’t have to use the same background for all your geese. This is a great time to experiment with different fabrics and see which ones work best together. In addition to fabric, you’ll need a rotary cutter and small mat, if you have one, paper scissors for cutting your patterns apart, as well as your regular sewing supplies. 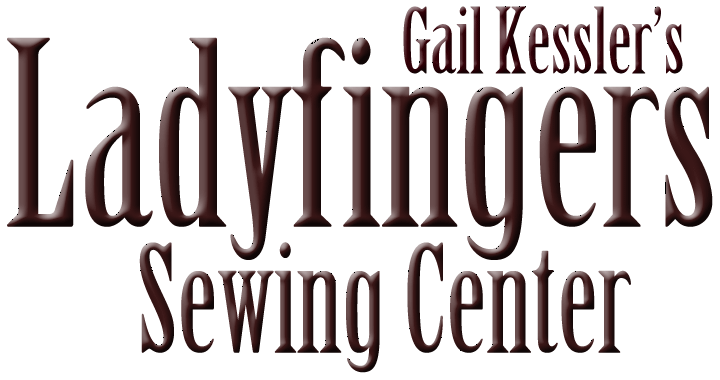 Ladyfingers can supply you with a BERNINA 590 machine to use in class! Just phone Ladyfingers 610 689 0068 to reserve.